First Coast FSC Logo embroidered on Pill-free, ultra-soft 100% polyester Chill Fleece Jacket. 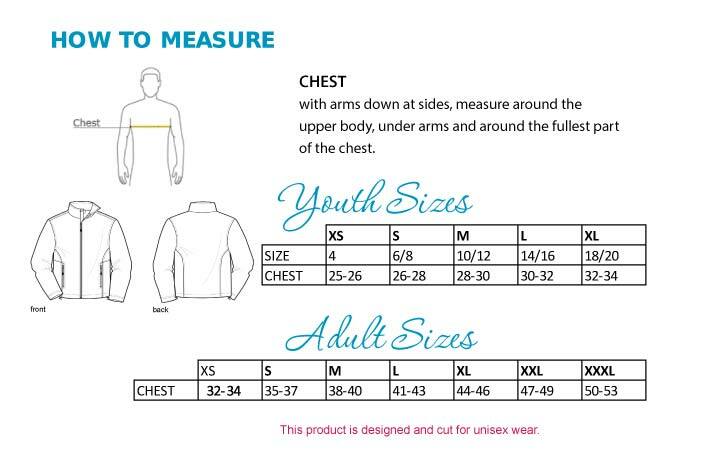 This is Unisex sizing and is NOT a form-fitted style, so sizes run generously. Favorite for male skaters and coaches alike. Machine wash warm. Wash inside out with like colors . Line dry. Do not bleach, iron or dry clean.